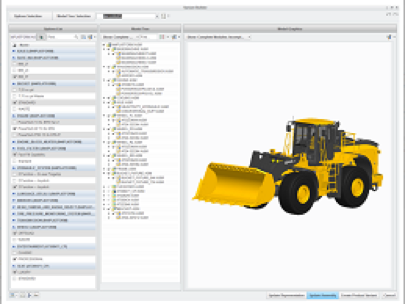 Creo Options Modeler is released as part of the Creo 2.0 update. Specifically tailored for designers specialising in modular product design, Creo Options Modeler is ideal for visualising and assembling modular products in 3D, regardless of the overall design complexity. It allows for personalised designs, which match customer specifications, while also keeping a firm control over costings. As part of the Creo family, Creo Options Modeler can be fully integrated to share data with other Creo apps. For example, combine with Creo Parametric to test the centre of gravity, confirm precise product mass and also solve critical issues, such as interference for modular design. Reduce time taken in design process by confirming all product modules in 3D at an early stage in design development. Increase internal communication through sharing product design information and collecting relevant responses from other teams, as well as suppliers and customers. Improve products at an earlier stage by automating tasks that are manually intensive. Fully define the product modules to automate the development of any product and control how they integrate.